Hello everyone! I’m back again with posts from my previous travels and experiences I had during my Easter Break! It’s been a great summer thus far and I can’t wait to get started on my upcoming blog plans! For months I have been pondering on where should I travel next during my month’s break in April. France? Italy? I could have spent my holiday visiting those destination that I probably would have a chance to visit in the future. I called a close friend of mine, Chris and asked if he’s down for another epic adventure. Chris has been travelling with me for the past 2 years visiting destinations with an aligned interests – Photography & Videography. We’ll we aren’t pros (yet) but it keeps us going and spurs our innate curiosity. We decided to take this leap of faith and visit one destination that has been on our bucket list for a long time. We booked our tickets and accommodation instantly and jetted off to Istanbul, Turkey. From then on, began one of the best expedition I’ve been on. Many of friends said I must be crazy to visit due to the political turmoil that Turkey is facing at that point of time. Honestly, I was definitely worried and hesitant to what Istanbul has to offer to me. On the contrary, Turkey is a safe and 100% picturesque in many ways. I will be sharing my thoughts about my journey and several places of interest that you may want to visit upon your arrival. What to expect? – Expect picturesque sceneries that holds a story for all to hear. Expect the warm hospitality of locals who love tourists (especially Asians for some reason). Expect the juxtaposition of modernisation and history of places of interest that dated more than 50 years ago. Expect one of the most delectable local cuisines that will leave you wanting for more (trust me, it happened to us). But on the whole, expect one of the most amazing experience. We started our trip by visiting Kumkapi Tiryakii Restaurant which is about 5 minutes from our accommodation. There’s a stretch of restaurants along the street of Arapzade Ahmet Sk. decorated with Turkish Flag (cover photo at the beginning). Food prices are relatively decent from 10-15 Euros per meal. During our meal, we were taken aback by several instances. Some appetizers and free flow bread were on the house and we were worried that it comes at an additional cost, despite us just ravaging through the meals. It did not happen once but most of the restaurants that we visited. After researching and actually asking a Turkish friend, it is an etiquette from restaurants to show their appreciation for dining there and staffs are extremely thankful and hospitable towards you. 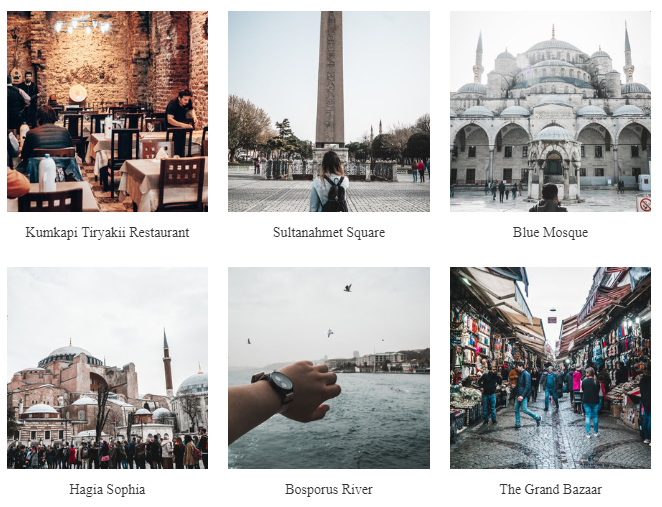 Istanbul has many etiquette that one must take note of so as to not offend locals – such as pointing directly at someone and greetings of different genders. We did our fair bit of research before visiting Turkey and we were so grateful to chance upon respectable and hospitable individuals whom were patient with us. We continued our exploration by walking towards the main district and took loads of photos just purely for Instagram (like really alot). Started off at Sultanahmet Square and then Blue Mosque and Hagia Sophia. We were disappointed as Blue Mosque and Hagia Sophia were running interior construction and could not see what it has to offer us. 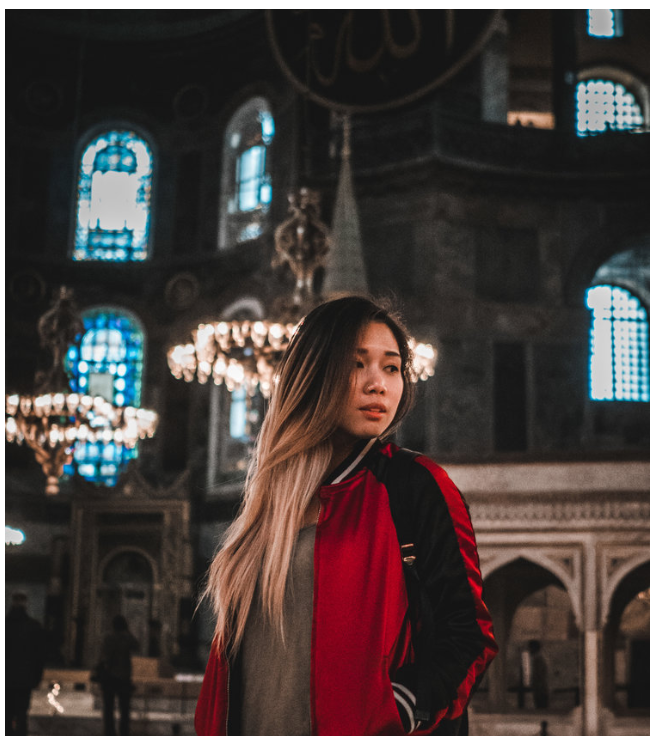 Luckily, I managed to get a great shot of my friend in Hagia Sophia! Board a river cruise along the Bosporus River but this is where you have to put your bargaining skills to a test. We managed to get tickets at €8 each after haggling. Be aware that ticket sellers will try to “extort” money from you by quoting you at ridiculous prices. There are a few points to where ticket sellers at stationed. 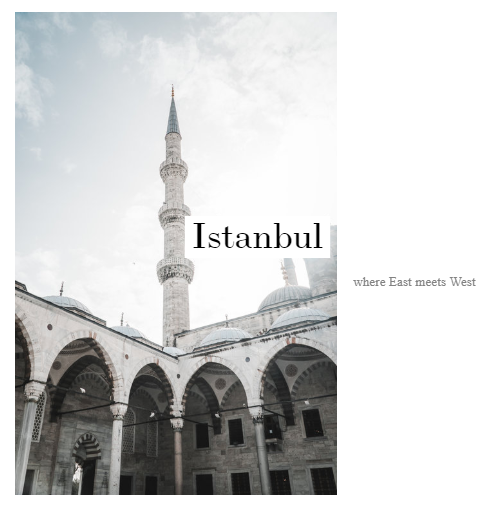 One is by the Eminonu Pier where most tourist goes to or being approached near Hagia Sophia and then brought to a pier near to it and start your 2 hour cruise ride. If you’re being quoted €50 , well you’re probably going to get scammed. Be on your guard! It’s generally an amazing ride but it gets abit boring when you hit the 1hr30 mark. But still, a must go! We met up with Yasmin, a classmate of mine, who brought us to the “non-touristy” side of Istanbul. Caught up with her and shared loads of laughter. 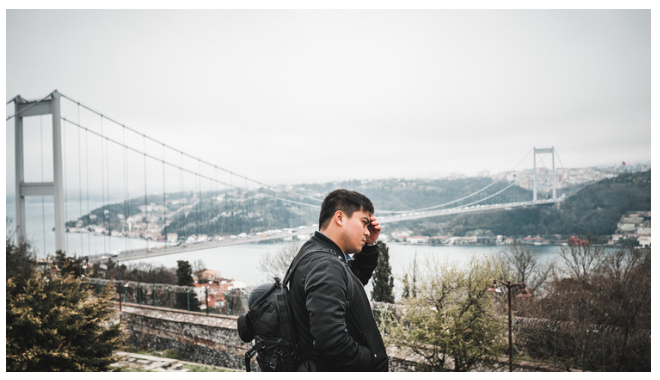 We couldn’t be more appreciative of her to bring us to have Turkish Breakfast (which was amazing by the way) and to a viewpoint that overlooks Fatih Sultan Mehmet Koprusu, a bridge that connects Europe and Asia. I think for the 5 of us, what strikes us the most is the desserts. Ever since we had our first Rice Pudding or Baklava, our desire for desserts escalates at every single meal. Yeah, it was that good. The recommended place would be Hakki Zade 1864. Not only is the dessert fantastic but tea and hospitality as well! 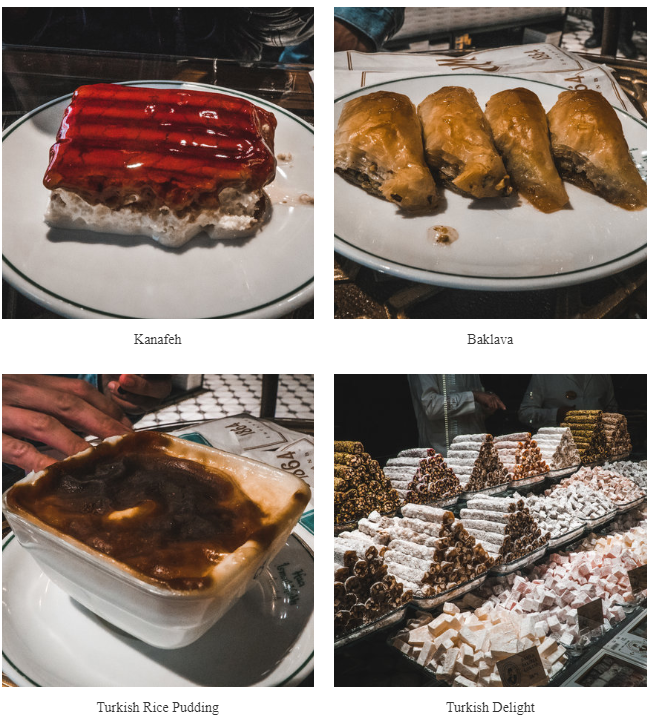 Trust me, if you’re heading to Istanbul, this is a must (x100) go. All in all, Istanbul was amazing and till now I couldn’t believe I actually went there for a holiday. 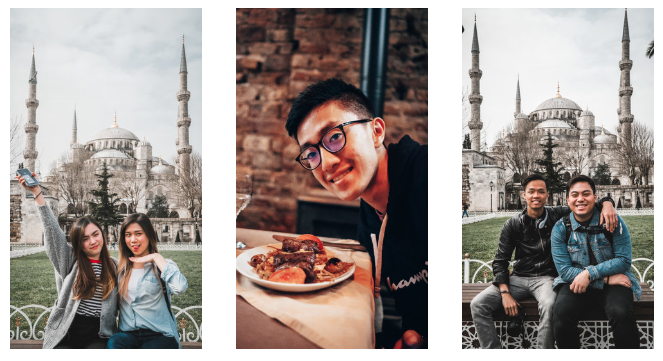 Istanbul is beautiful in all aspects, from photogenic landscapes to vibrant history and culture, till today I did not regret taking that leap of faith. If you’re ever thinking of visiting Turkey, don’t hesitate. 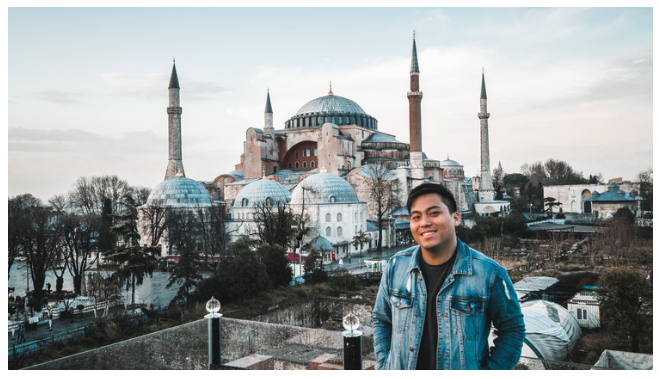 Is travelling to Turkey safe? I get that question a lot. In all honesty, its generally safe to visit but still exposed to terrorism. The situation in Turkey has subsided ever since the attempted coup in 2016. Security at the airport and tourist places have heightened and readily responding to any imminent threats. Generally, even the safest of countries is still under the threat of terrorism but governmental precautions are taken to prevent any occurrence. What I would suggest is that prior to your trip, do several research about the destination you’re headed to. If you’re not comfortable travelling free and easy, there’s always the option of tour where you’ll formally adhere to travel precautions. Here’s my travelling crew for this trip, Cynthia, Alicia, Brandon, Chris and myself (Left to right). We had loads of fun in Istanbul but have to bid goodbye for now. Off we go, to Cappadocia!